Which Island Foxes Wear Radio Collars? 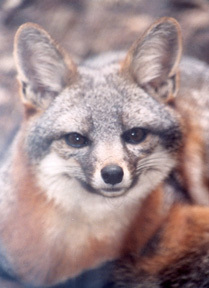 Island fox populations are returning to normal levels across the six California Channel Islands where this rare species lives. With hundreds of island foxes on each island, the number of radio-collared animals is limited to a representative group. Typically 40-60 individual animals wear radio-tracking collars on each island. Which island foxes receive radio tracking collars? “Being able to identify the threats greatly improves our ability to understand and protect this unique species,” says Julie King, director of conservation and wildlife management for the Catalina Island Conservancy. Once the carcass is collected it is sent to the California Animal Health and Food Safety Laboratory to ascertain the exact cause of death. Reading information from the radio-collars varies across the islands. On flat-terrain islands radio receiver towers pick up the signals of island foxes in their area and relay the information to a computer terminal. 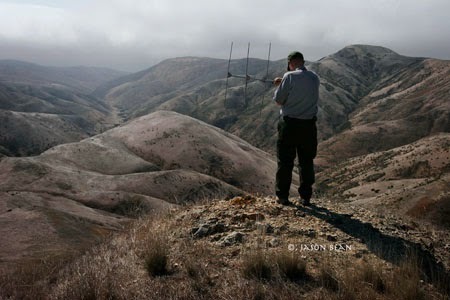 Mountainous terrain is more challenging; on some islands radio-collar signals are picked up from the air by small aircraft, weekly or biweekly. On other islands, biologists with hand-held antennae and a receiver locate island foxes from vehicles or on foot. In 2014 FIF has the goal to fund our 100th radio collar. With your help we will reach that goal. Labels: Channel Island fox conservation, Channel Island fox status, endangered island fox, fox radio collars, Friends of Island Fox, learn about channel island fox, which island foxes wear radio collars? Where can you see island foxes and learn more about them without taking a trip to the Channel Islands? Friends of the Island Fox invites you to join us in celebrating FOXES ! 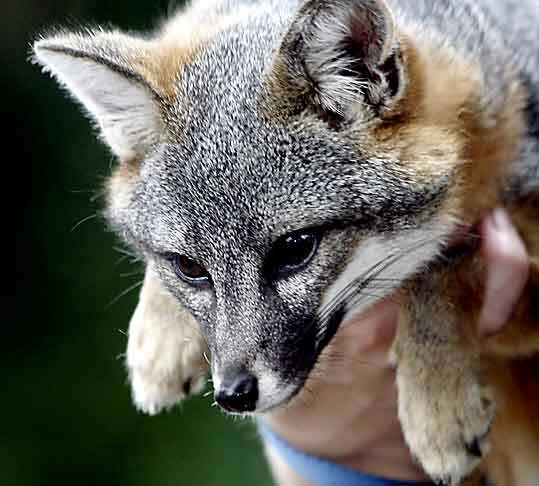 There will be activities, crafts, Keeper Talks, and an opportunity to see Channel Island foxes and compare them with the Zoo's new African fennec foxes. What do these two species of tiny foxes have in common? Which has the bigger ears? Which eats insects? The Santa Barbara Zoo is also home to several bald eagles. Come out and join the Fox Fun. 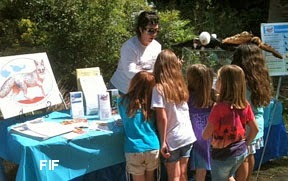 Friends of the Island Fox will have a booth with current island fox information and fox related activities. The return of bald eagles to the California Channel Islands has been a slow but steady effort that has aided the Channel Island fox recovery on the northern islands. A robust bald eagle population keeps away golden eagles, island fox predators. 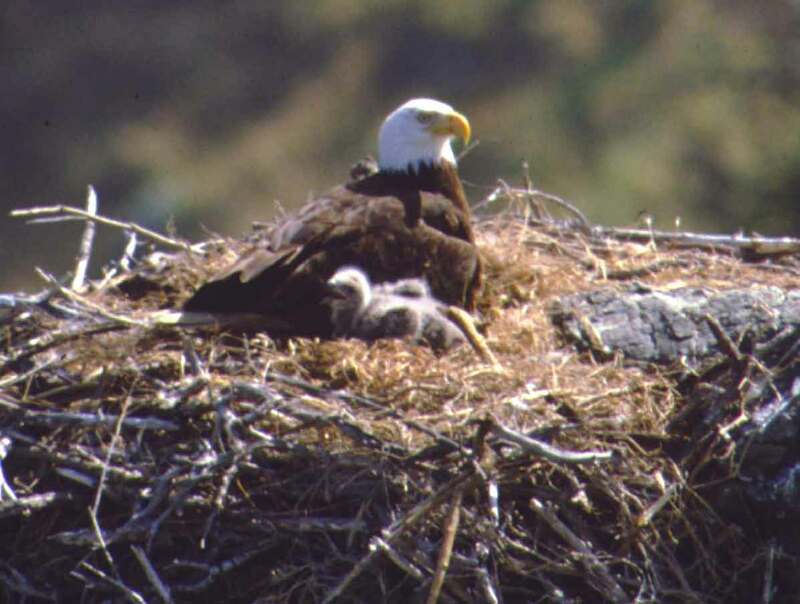 1989: bald eagle eggs taken from Catalina Island nests and incubated. Later hatchlings or foster chicks are returned to nests. According to the biologists managing the bald eagle recovery program, fifteen pairs of bald eagles attempted to nest on the Channel Islands last year. See a photo of A-89 and the full accounting of bald eagle nesting on the Channel Islands in 2013 at the Institute for Wildlife Studies.